Amla is a fruit with great medicinal properties. It has been used since ages for all the benefits it has. Amla can be used in a number of different ways. To reap all the benefits of amla, use it in the correct way. It can be consumed orally or even applied topically. 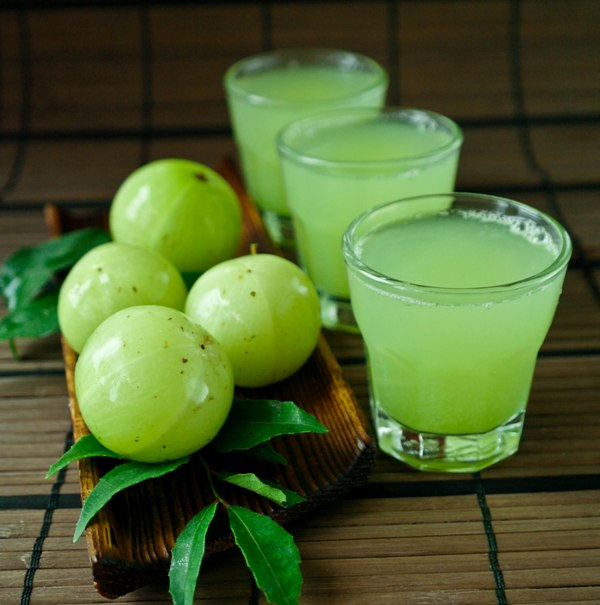 Read on to know how to use amla for all your issues. Your skin is brightened because of the antioxidants and Vitamin C in amla. Add honey to drink it, or use it as a face pack to make your complexion lighter. Blemishes are also removed. The antioxidants in amla make your skin look younger. Fine lines, wrinkles, dark spots, and other signs of ageing are controlled. Applying or consuming amla juice cleanses your body and skin. Dead skin cells are removed when you use it for exfoliation. Use some water to dilute before you apply it. Vitamin C and antioxidants in amla make it a good healing agent. Damaged tissues are healed faster, and your skin becomes clear and healthy. Dry and scaly skin is also cured. Amla makes your skin look flawless and glowing. Pigmentation is reduced, and your skin gets brighter. Use cotton to dip in amla juice and apply on your face. Wash off after some time for clear skin. Repeat the procedure daily. Make a paste of amla and apply on your face. Wash it off after 10 to 15 minutes to get rid of acne and pimples. Drink amla juice daily to purify your blood and fight against the microorganisms that cause skin problems. The skin loses firmness and softness due to reduction in skin collagen. The Vitamin C in amla helps in production of collagen and makes your skin soft, smooth, and supple. It is also made tighter and toned. Dry and rough hair is conditioned well using amla juice. Mix henna and amla juice to apply on your hair. Your hair becomes healthy and well conditioned, bouncy and shiny. Make a paste of amla juice and a beaten egg to massage your hair. Your hair becomes silky, shiny, and really clean. Consuming amla juice on a daily basis treats dandruff and prevents its accumulation on the scalp. Hair loss, split ends, frizzy hair, and all other hair problems are used if you use amla. It can be applied or consumed to reap all benefits. The antioxidants and Vitamin C control premature graying of hair. Amla juice is good for improving the color of your hair. It improves pigmentation and makes your hair darker and thicker. Hair dyes use amla juice as a common ingredient. Discoloration and gray hair are both treated. 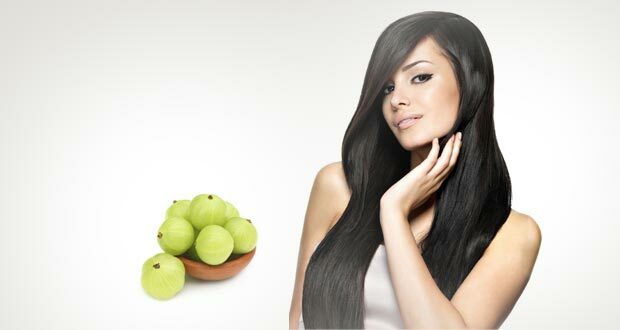 Amla juice encourages hair growth by making the hair follicles stronger. Mix amla juice and lemon juice to apply on your scalp. Wash it off after 20 to 30 minutes with warm water. Your hair gets stronger from the roots. Amla increases the levels of proteins in the body, which reduces fats and cures obesity. A positive nitrogen balance is created, the level of cholesterol is reduced, and heart attacks are controlled. Osteoclasts are cells that cause the bones to break down. These cells are lowered if amla juice is taken daily. Amla contains lots of antioxidants. Superoxide dismutase (SOD) is the main content. All the antioxidants protect the body against free radicals and prevent cancer. Amla is rich in Vitamin C, which keeps your body safe from heat and light. Your body remains cool in summer, and is also protected from the UV rays. Diabetes is controlled by taking amla juice with honey and turmeric powder. Eyesight and near nearsightedness are improved. Cataract is controlled, intraocular tension is reduced, and eye problems like watering, itching, and redness are cured. Gastric disorders, hyperchlorhydria, diarrhea, dysentery, peptic ulcers, and acidity are all cured. It makes your liver healthy. Amla juice taken with pure ghee twice in a day gives relief from acidity. The heart muscles are made strong, which helps the heart in pumping more blood and treats all heart problems. Amla has got anti-inflammatory properties which reduces the swelling in joints as a result of arthritis. The tissues of digestive tract are also eased. Amla is used to treat insomnia. Take an amla and make a juice of it. Add a mixture of coarse nutmeg powder, and make a solution. This solution makes sure you have a good sleep. Amla cures bad breath and makes your teeth stronger, if the juice is taken daily. Painful mouth ulcers are cured by making a mixture of amla juice and water and using it as a gargle. Constipation caused due to piles is relieved, bowel movement is regulated, and chronic constipation is also treated. Toxins are flushed out of the body, which makes your blood pure. Hemoglobin and red blood cell counts are increased. Carotene, calcium, phosphorus, iron, Vitamin B complex, and many other minerals and vitamins are contained in amla, which are beneficial for the body. The liver, lungs, muscles, brain, urinary system, and all other systems in the body benefit from the contents. The antioxidants eliminate free radicals to keep your fresh and relaxed. It is also known to promote longevity. As you see, amla offers great nourishment to your health, skin, and hair. So, try it out and solve all your issues. Amla has immense benefits for health and now even more people are going a natural way for health. The best thing about it is suitable for skin types and has no disadvantage. can i use amla juice and aloe vera juice for weight gain and digestion problem?? Piles and constipation will be no longer any problem if a person takes two amla daily in the morning empty stomach. I have done it and got relief. Why doctors not suggest amla for solving the problem of piles and constipation.